An extensive compilation of the sayings of His Holiness Shantanand Saraswati. A practical introduction to the non-dual philosophy of Advaita. A further anthology of sayings, stories and answers to questions by H.H. Shantanand Saraswati. (Hardback). Kindle edition also available. An anthology of the wisdom of His Holiness Shantanand Saraswati. Kindle edition also available. Two New York lectures given by Francis Roles as an introduction to meditation and non-duality. Kindle edition also available. A further anthology of sayings, stories and answers to questions by H.H. Shantanand Saraswati. (Paperback). Kindle edition also available. His Holiness Shantanand Saraswati offers a radical and illuminating understanding of all aspects of this perennial mystery. Stories and commentaries taken from talks by His Holiness Shantanand Saraswati. Kindle edition also available. The Orange Book: A Method of Self-Realisation. H.H. Shantanand Saraswati explains the way of Bhakti — a complete and practical method of Self-realisation. Kindle edition also available. Advaita: Tools for Spiritual Unity. NEW Study Society Edition. The essential spirit of Advaita presented in plain English together with simple practical techniques for daily living. Kindle edition also available. A compilation of the sayings of His Holiness Shantanand Saraswati on Prayer. A practical companion on the spiritual path. Special edition commemorating the 50th anniversary of the death of P.D. Ouspensky. Special edition celebrating the 100th anniversary of the birth of Dr Francis Roles. A collection of poems by William Anderson (1935-1997). Who Am I? What is my Soul? Extracts from dialogues between Francis Roles and H.H. Shantanand Saraswati revealing that the real answers to these vital questions are common to all races and religions. This book is the first published account of the further development of P D Ouspensky’s work during the second half of the 20th century by Dr Francis Roles. It gives not only a comprehensive account of his teaching but also tells the inner story of the development of the Study Society itself as a Fourth Way school. 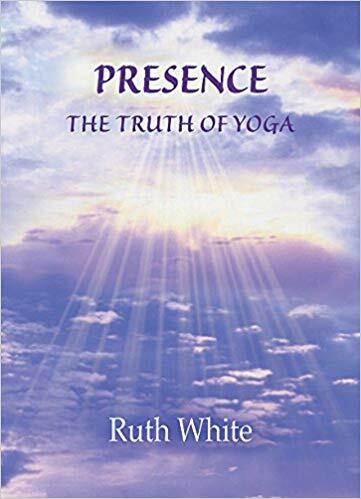 In this book Ruth White sets out to explore the deeper nature of yoga, that which is described as union with the Divine.